12 mm. 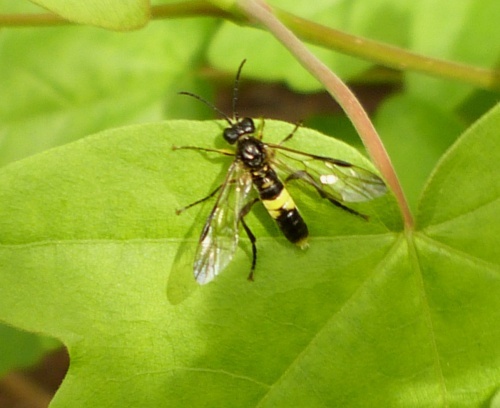 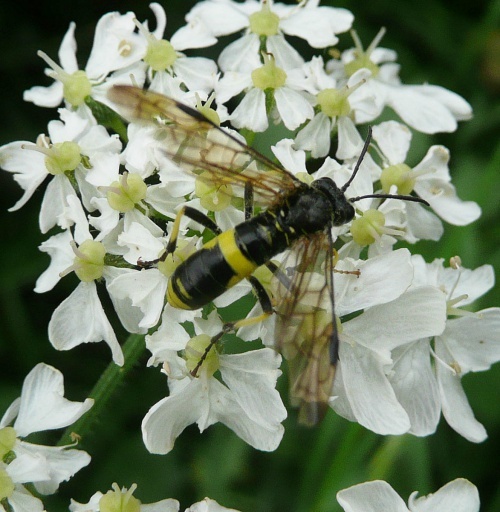 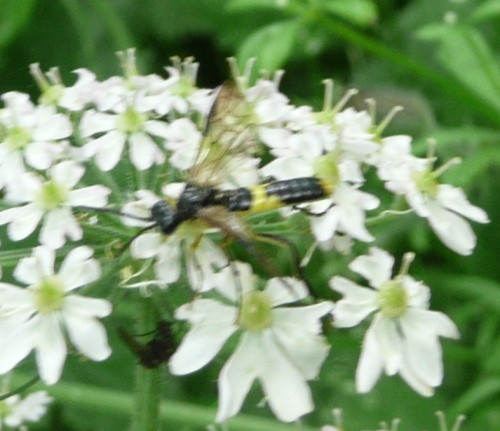 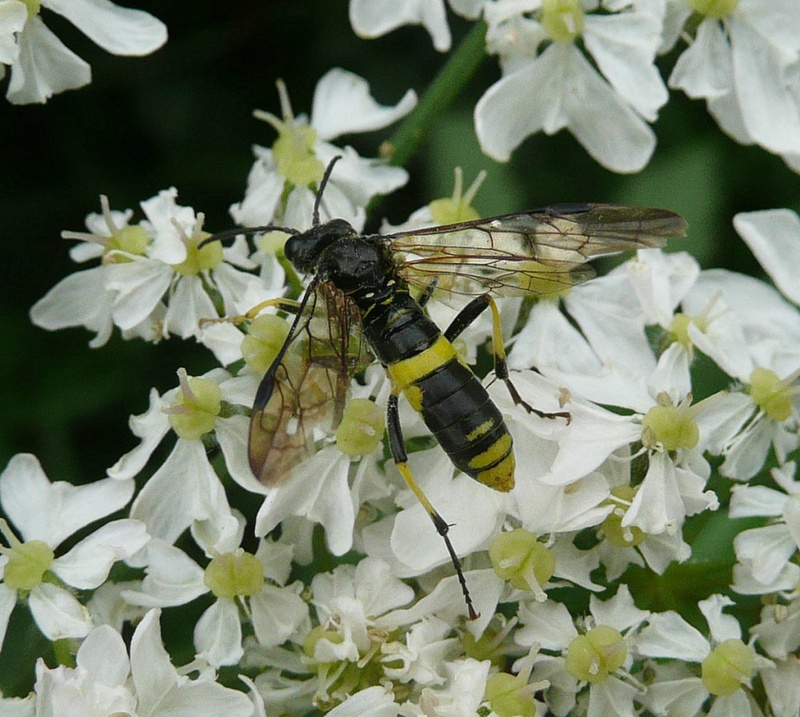 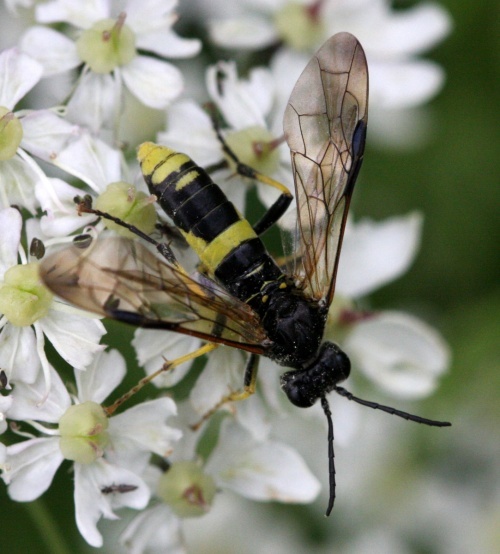 A wasp mimic, with a yellow band across its black abdomen. 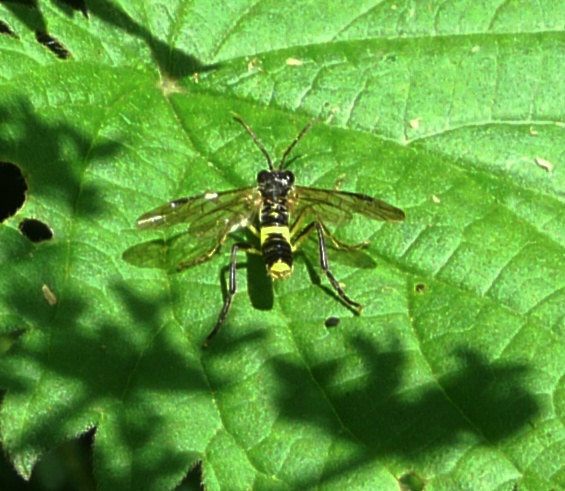 The head and thorax are black, but the face is yellow. 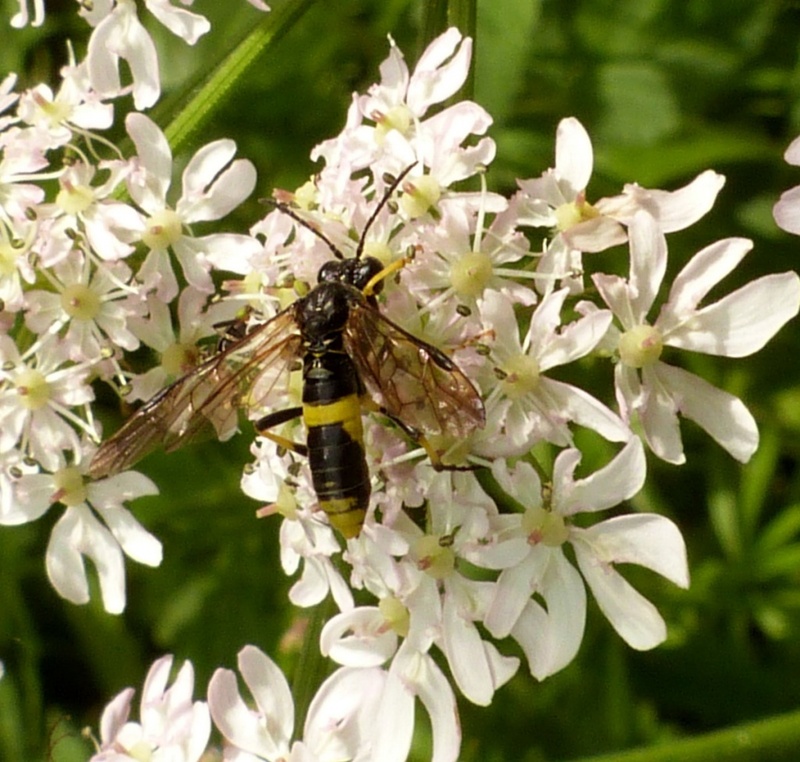 Hedgerows and meadows where the food plants are present. 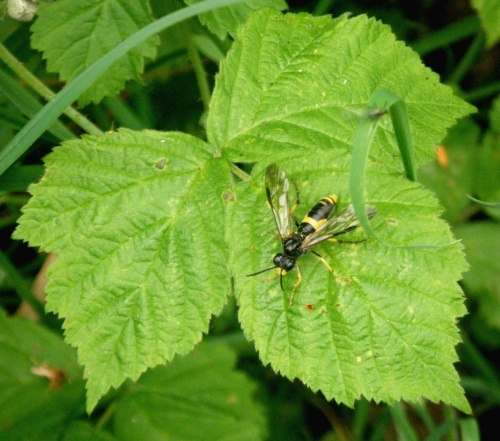 The adults take small insects as well as pollen and nectar from various plants such as Hogweed, Hawthorn and Bramble. 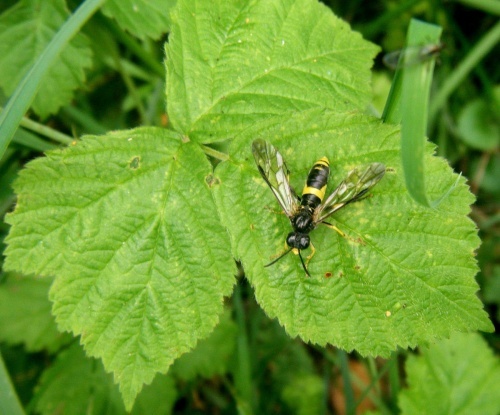 Fairly widespread and frequent in Britain.